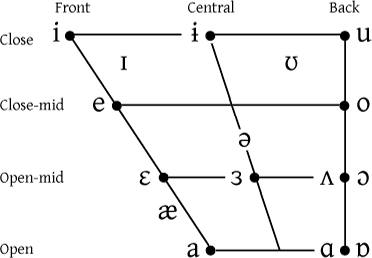 Phonetics and phonology are two subfields of linguistics which studies the sounds in language. 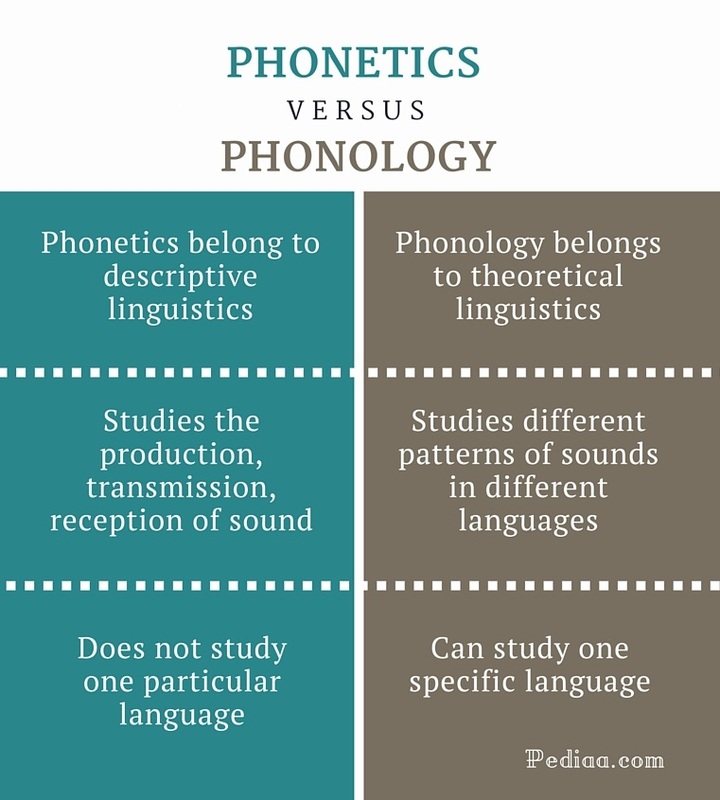 Since both these fields are related to the production of sound, many people do not understand the difference between phonetics and phonology. The main difference between phonetics and phonology is that phonetics is the study of speech sounds whereas phonology is the study of sounds, especially different patterns of sounds in different languages. Phonetics is the study and classification of speech sounds. It is concerned with the physical properties of speech sounds, including their physiological production, acoustic properties, and auditory perception. Basically, phonetics studies how sounds are produced, transmitted and received. Based on these three primary functions, phonetics can be classified into three subcategories: articulatory phonetics, acoustic phonetics, and auditory phonetics. 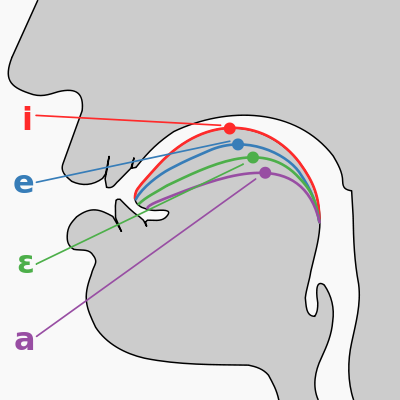 Articulatory phonetics studies the production of speech sounds by the articulatory and vocal tract of the speaker. Acoustic phonetics studies the physical transmission of speech sounds from the speaker to the listener whereas auditory phonetics studies the reception and perception of speech sounds by the listener. We learn to reproduce the sound patterns in our native language from the birth itself. But some sounds in our language may not be available in other languages; likewise, some sounds in other languages may not be available in our language. This is why many of us face problems in pronouncing foreign words. Phonetics is the study of speech sounds. Phonology is the study of the speech sounds used in a language. Phonetics belong to descriptive linguistics. Phonology belongs to theoretical linguistics. Phonetics studies the production, transmission, reception of sound. Phonology studies different patterns of sounds in different languages. Phonetics does not study one particular language. Phonology can study one specific language.